Today, July 29, is Global Tiger Day! This is a day that is set aside to celebrate the majesty and beauty of tigers, and to generate support for their conservation. This is important, because tigers need our help. They are listed as Endangered on the IUCN Red List, and only 3,900 of them are estimated to remain in the wild. Even more shockingly, tigers have lost 96% of their historic range (Panthera, 2015d). 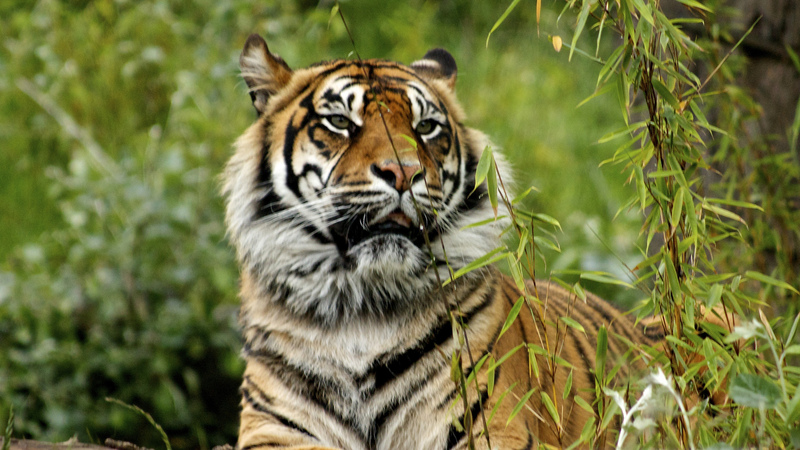 While multiple factors have contributed to the tiger’s decline (such as habitat loss and livestock-related conflicts), the most serious threat is poaching for the traditional Asian medicine (TAM) trade (Goodrich et al., 2015). Despite this bleak picture, there is still hope for tigers. Many groups and individuals have been working tirelessly to save tigers, and they are beginning to see results. The NGO Panthera has been collaborating with local partners to reduce poaching in key areas, and tiger populations are increasing in 5 of their 17 sites. Here is the story of one of those locations, the Parsa Wildlife Reserve in Nepal. I hope you will click the above link and read about the dramatic recovery of tigers in Parsa Wildlife Reserve. It shows that despite the immense threats facing tigers, we can still reverse their decline – if we work together. Groups like Panthera can only operate if enough people support them, so I urge you to contribute to their Global Tiger Day campaign. In addition, we need to make it clear that purchasing products made from tiger parts is unacceptable. The same goes for snow leopards, jaguars, rhinos, and other threatened wildlife. Indeed! The tide is turning amongst some tiger populations, but there’s still a long ways to go.